Greg is a noted historian whose books include Touching Space: The Story of Project Manhigh, Apollo to the Moon, The First Men in Space; Rockets and Missiles of White Sands Proving Ground, and Vengeance Weapon Two: Germany’s V-2 Rocket. He was also a co-author of The Space Shuttle Operator’s Manual and Rockets, Missiles, and Spacecraft of the National Air and Space Museum. Greg also served as executive director of the Space Center in Alamogordo, NM; director of the Frontiers of Flight Museum in Dallas, TX; founding director of the American Airlines C.R. 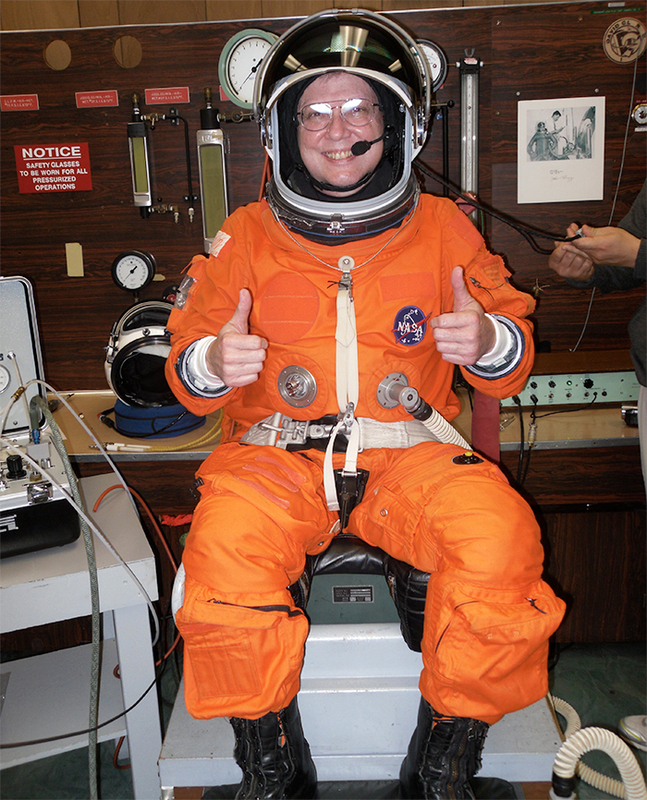 Smith Museum in Fort Worth; executive director of the Mid Atlantic Air Museum in Liberal, KS; and executive director of the American Helicopter Museum in West Chester, PA.
Greg is a qualified spacesuit technician and commercial spaceflight instructor. At NASTAR Center, he conducts training for commercial spaceflight participants and suborbital scientists, along with various workshops and summer-camp programs which he has created for teachers and students.